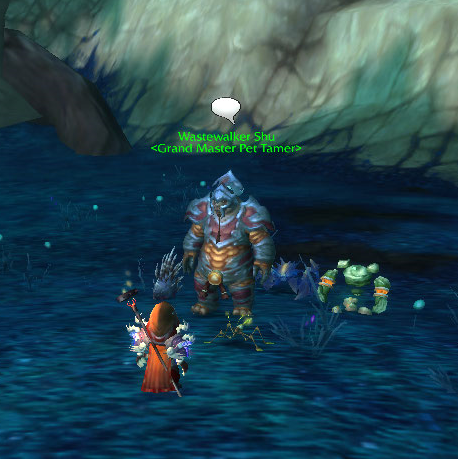 It’s been a long time since I shared any of my pet battle tips. As always, I’m not a pro, but I hope I offer a combination that may provide help if you’re struggling! Here’s my strategy for Mr Shu, located just outside the Klaxx’i hub. 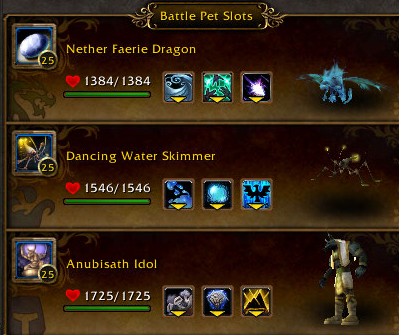 I used these pets, with abilities shown, to counter his pets, Crusher, Pounder and Mutilator. Crusher came first and by using the Faerie Dragon’s Moonfire and Slicing Wind he was a gonner. With Pounder, I used Life Exchange then Slicing Wind til my Dragon was dead. Next, Pounder cast Sandstorm so I countered with Cleansing Rain on the Water Skimmer and used the other abilities til Pounder died. Finally, Mutilator took out my poor Skimmer’s remaining health quickly, so I swapped to the Idol and punched him in the face til he died. A relatively stress free fight with these pets. Good luck! I’ve been pet battling a lot more now that I have some spare time and I was really tempted by levelling pets quicker by using the Grand Master Tamers – one of which is Ms Nishi. All are rare and only the Idol was level 25. 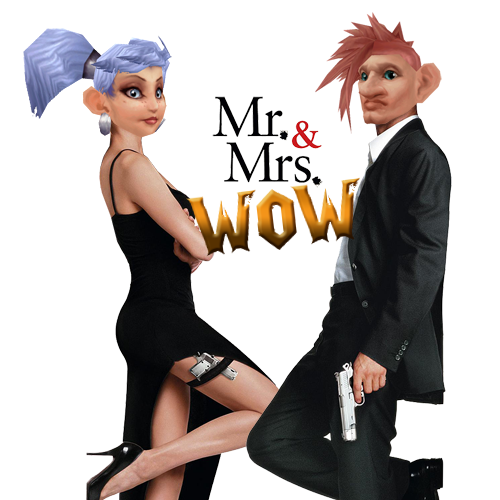 I’m power levelling the Minfernal, so this is the one I can’t count on. The Strider I hoped would manage even at level 23 – I wasn’t disappointed. Siren – I started with the Minfernal. Used the Meteor Strike then swapped it out. Siren then casts sunlight, which was hurting all my pets, so I swapped in the Strider and used Cleansing Rain to get rid of it. I then used the other two abilities and the Sunlower died quickly. Toothbreaker – again, I used the Strider to solo this pet using mostly Water Jet. By the end though, it wasn’t looking that healthy and I wanted to level it up, so I renewed Rain. Brood of Mothallus – the Idol solo’d this easily with Demolish. No problemo! As always, I’m not an expert, but as long as you use a pet which can soak the first attack by the Sunflower (I’m not sure a level 1 would, but I haven’t tried it! ), then these other two pets would get her down easy peasy. 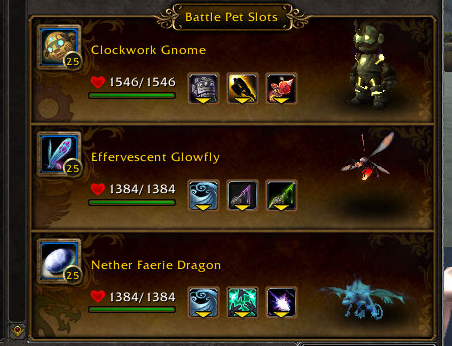 I find it hard to get guides which tell you explicitly which pets you need to defeat which tamer. I am not too good at remembering which pet is strong or weak against another, so I hope this might help you decide too. 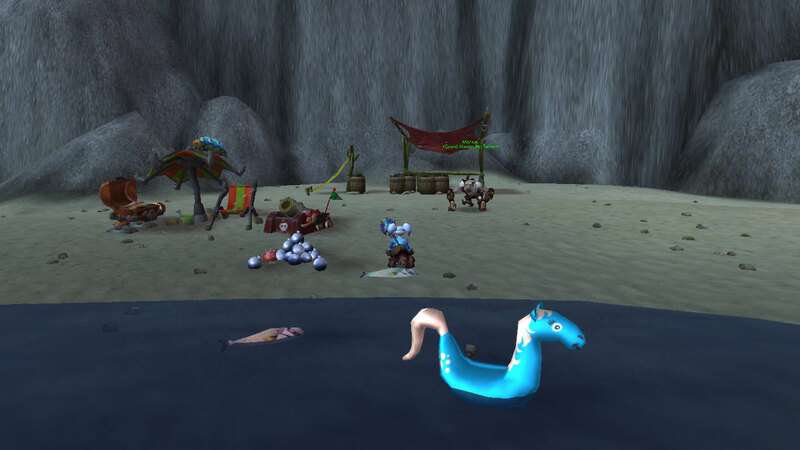 Mo’ruk is located near to the Anglers Warf and The Incursion. His hang out place looks pretty cool. Lots of fun inflatables! It took a couple of tries to get the order of abilities right. The grub (the first pet up) always burrows on the second go, so that’s when I built my rocket, then released it after it had burrowed, ensuring I didn’t waste it. This did enough damage so all I had to do was punch him in the face and he was dead. The moth didn’t do a huge amount of damage compared to the others, but with all the poisons the damage over time was pretty harsh. Slicing wind and moonfire from the Nether Faerie Dragon handled it ok. Finally, the Hatchling does a pretty powerful powerball type ability which does some damage, but I dotted it with the poisons and after a couple of slicing winds from the Glowfy it was dead. 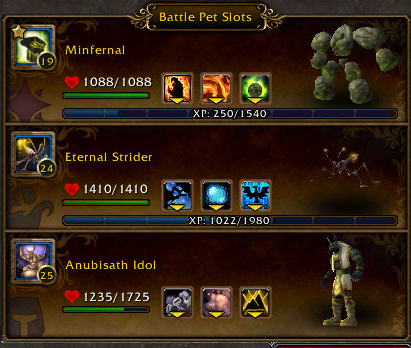 As always, I’m not an expert by any means, but these pets will do the job if you’re not looking to power level another at the same time.